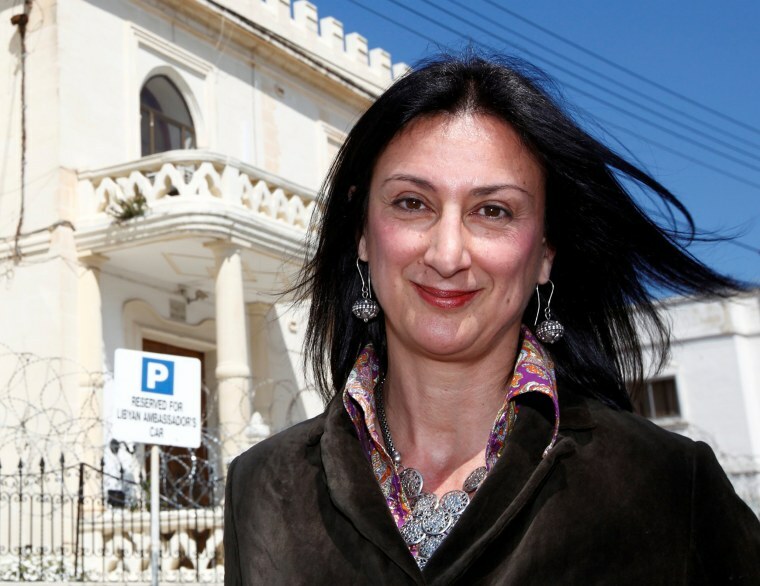 VALLETTA, Malta — A Maltese investigative journalist who had exposed her island nation's links with the so-called Panama Papers document leak was killed Monday when a bomb destroyed her car as she was driving near her home, Maltese Prime Minister Joseph Muscat said. Daphne Caruana Galizia, 53, had just driven away from her home in Mosta, near the capital, Valletta, when the bomb exploded, sending wreckage spiraling over a wall and into a field. Muscat said Caruana Galizia's death resulted from a "barbaric attack" that was also an assault on freedom of expression. He described her as "one of my harshest critics, on a political and personal level," as he denounced the attack as "unacceptable." Politico named Caruana Galizia one of 28 Europeans who are "shaping, shaking and stirring" Europe. She had exposed that Muscat's wife, Michelle, as well as Muscat's energy minister and the government's chief-of-staff, held companies in Panama by looking into the 2016 document leak. Muscat and his wife deny that they held such companies. Caruana Galizia had been sued for libel because of articles she wrote on her blog, "Running Commentary," and she had filed a report with police two weeks ago that she was receiving threats. Monday evening's Parliament session was scrapped, except for briefings about the bombing scheduled to be given by Muscat and Delia. In June, Muscat was sworn in for a second term as prime minister following snap elections he had called to reinforce his government as the Panama Papers indicated that his wife owned an offshore company. The leak exposed the identities of the rich and powerful around the world with offshore holdings in Panama.